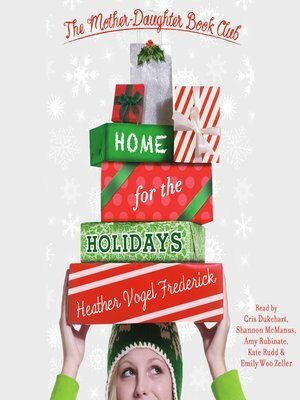 Join the mother-daughter book club for a holiday season with all the trimmings! This year, the girls are everywhere but home for the holidays. From a tropical cruise to a ski trip to Switzerland, it promises to be a Christmas to remember. Becca, Megan, Emma, Cassidy, and Jess have plenty of reading material to bring on their trips too, because the book club is tackling the Betsy-Tacy series before their next meeting on New Year's Eve. But from unexpected blizzards to a sledding disaster, nothing goes as planned. Even the Secret Santa presents are turning into a huge disappointment. Worst of all, Becca's dad has lost his job, and Becca is determined not to let anyone find out—even if it puts her friends' goodwill to the ultimate test. The mother-daughter book club is in desperate need of some winter cheer! Luckily, there are plenty of holiday miracles in store.